Today, we’re excited to share that the Logitech Crayon is available to all consumers. Now, everyone – from creators to artists and dreamers to learners – can experience an upgrade in how they interact with their favorite apps from iStore and the ability to add creativity to projects on the new 9.7 inch iPad. 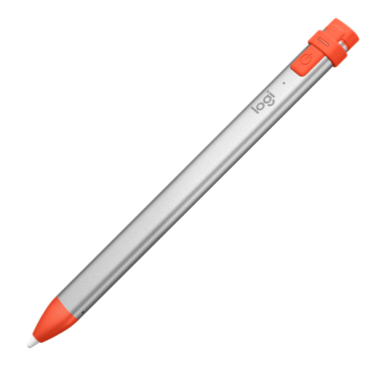 Featuring Apple Pencil® technology, Logitech Crayon delivers an ultra-responsive, precise, and comfortable writing experience, so you can markup and highlight your work, take notes in class, or liberate your inner artist and draw using most of the iPad apps. With no pairing needed, simply turn it on and let the creativity flow. Palm rejection technology means you can comfortably rest your hand while you sketch, allowing you to write as naturally as you would with pen and paper. Its smart tip dynamically adjusts line weight, so you can easily go from thick to thin lines. Logitech Crayon is shaped to stay in place when you set it down and is sturdy and durable to withstand drops up to 4 feet. Logitech Crayon is available for $69.99 at Logitech.com, Apple.com and Apple retail stores through September 2018 and is expected to be available everywhere beginning October 2018. So go ahead, #GrabACrayon and start creating!